Emerald cut diamond solitaire engagement ring with 4 claw setting, squared claws and a D shaped rounded band profile. Beautifully considered D shaped ring profile, set with an Emerald cut Diamond, with 4 squared claws around each corner. 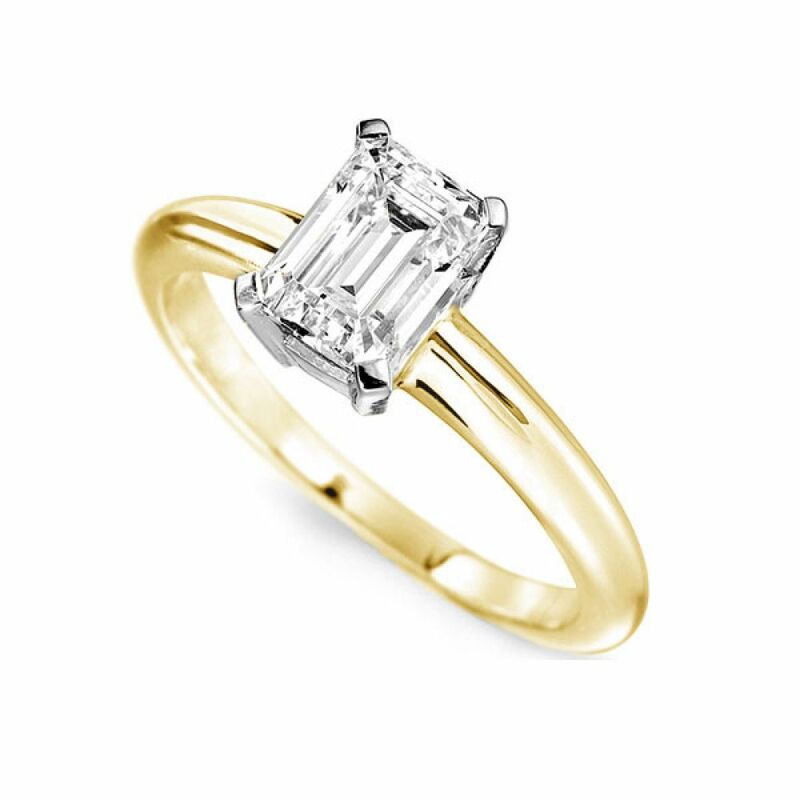 We would advise VS clarity as minimum for all Emerald cut Diamonds. 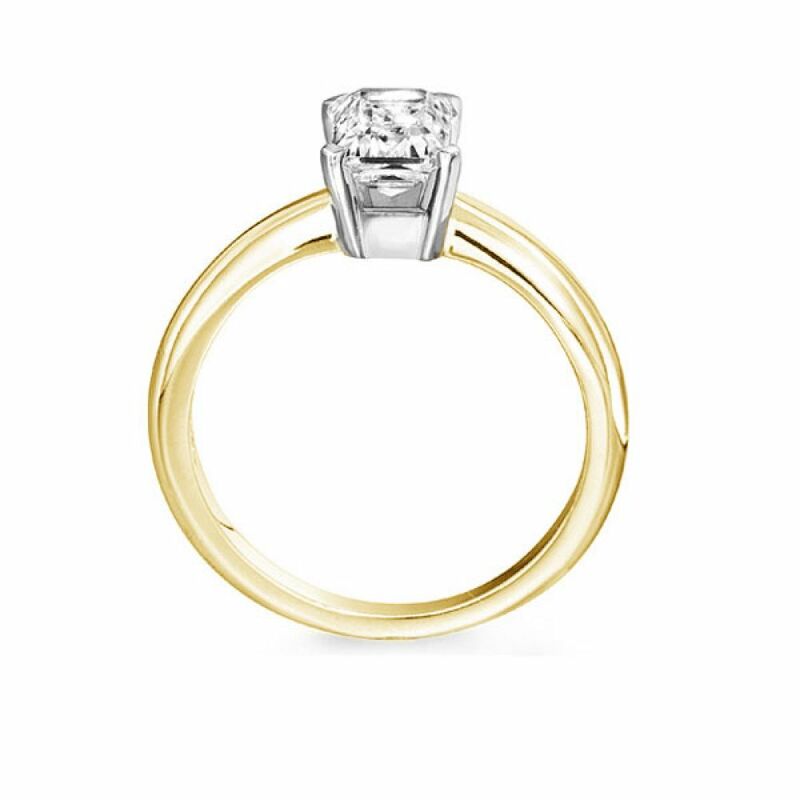 The Diamonds' step cuts provide a clear view through the stone and therefore needs to be extremely eye clean to ensure the full beauty of the cut. Most Diamond options include a full GIA or IGI certification. Choose your desired specifications including metal choice, Diamond size, colour and clarity and have the most precious gift presented in our bespoke packaging and delivered to your door within 3-4 weeks.